Mammoth–San Manuel SD, AZ. Prepares for Upgrade to eTrition! 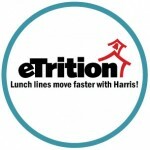 Harris School Solutions is pleased to announce that Mammoth–San Manuel SD, in San Manuel, AZ will soon upgrade to the eTrition software as a service (SaaS) School Nutrition Solution. eTrition (SaaS) is a centralized database that is accessible anytime from any internet-accessible computer, giving the district flexibility and stability. By choosing the upgrade, Mammoth-San Manuel will benefit from the cloud-based platform, hosted by Harris, where their school nutrition software is maintained, updated, and secured on state-of-the-art equipment. Ultimately, Mammoth-San Manuel’s decision will save them time and money! Harris School Nutrition Solutions looks forward to working with Mammoth-San Manuel School District on their upgrade! Melbourne School District Selects eTrition!